One week ago, an Indian friend shared me some pictures and videos for the Flood in their country, and the terrible situation after Flood. The streets were full of sludge, and many parts of the city were still full or water. It shall be a big headache for the local government to deal with the environment, besides the homeless people. We, GN, a professional Chinese pump manufacturer for 11 years, we have two models of pump could be widely used to remove the sludge and water after flood. The Centrifugal Pump and Sludge Vacuum Pump. Today we would like to share detailed information about Sludge Vacuum Pump, the GN Hot Sale Pump! Waste vacuum pump, also named as solids transfer pump. With special structure design, it can be used at tough environmental for solids transfer, high working performance and less maintenance. Waste vacuum pump, also named as solids transfer pump. 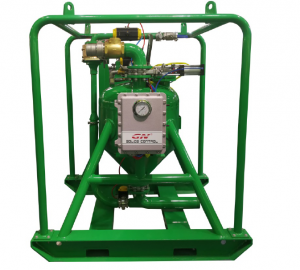 It is a pneumatic slurry transfer vacuum pump for liquid, slurry, and solids transfer. With special structure design, it can be used at tough environmental for solids transfer, high working performance and less maintenance. The pump can transfer material with high gravity and high density, solids content max. up to 80%. Welcome to contact us, if you need more information. We would share the Pump working video for it works powerfully.